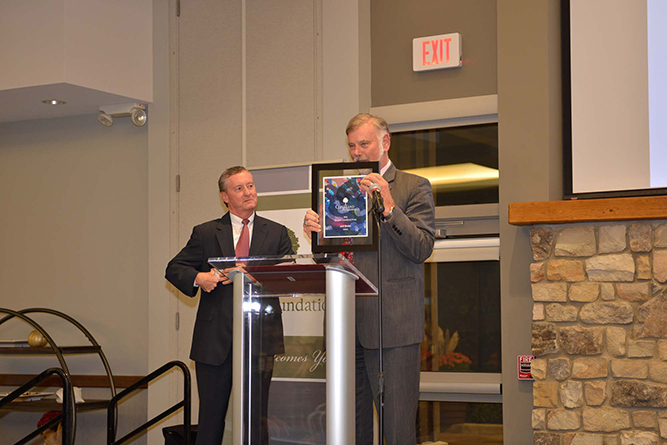 CLEVELAND – The Cleveland Foundation presented its second annual Encore Cleveland Prize to South Russell resident Jack Binder. The award was established by the foundation in 2015 to recognize individuals age 50 and older for innovative work that combines personal meaning with social impact to enhance the lives of Greater Clevelanders. The Encore movement is a national effort to leverage the energy and experience of Americans who seek to fill community needs upon retirement or near the end of their primary careers. 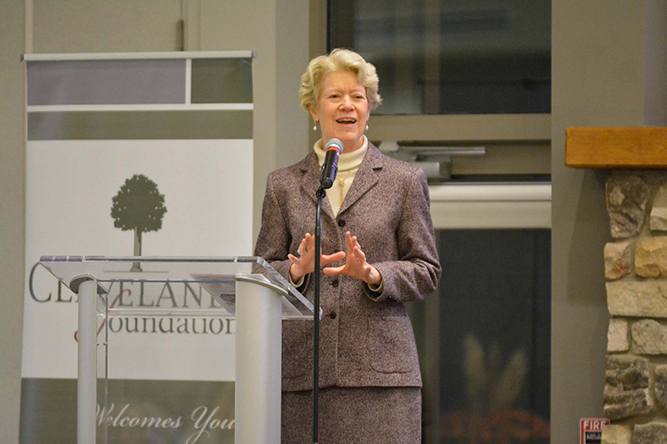 The Cleveland Foundation launched Encore Cleveland in 2013, and to date, has awarded more than $4.3 million in grants to support Encore Cleveland programs. After a 25-year career in the chemical industry, Binder found his new life passion through a volunteer board role for the nonprofit Suicide Prevention Alliance. He helped the organization rebrand and refocus its mission around recognizing teen depression and preventing suicide. Today, the organization is known as LifeAct,, and it serves more than 25,000 students each year. 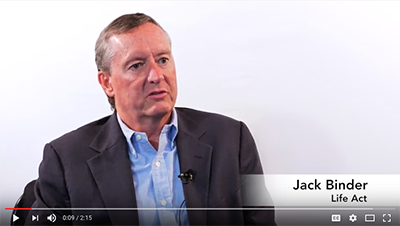 Binder became LifeAct’s CEO in 2014. 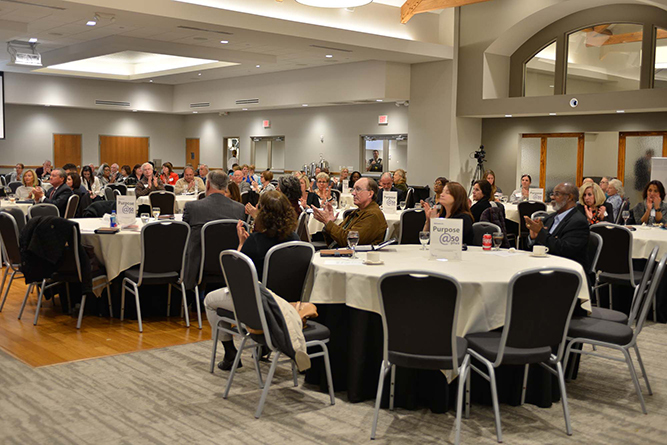 Betsy Werley, Director of Network Expansion at Encore.org, speaks to an audience Nov. 15, 2016, during BVU: The Center for Nonprofit Excellence’s Purpose @50Plus event at Cleveland Metroparks’ Stillwater Place at the Cleveland Metroparks Zoo. 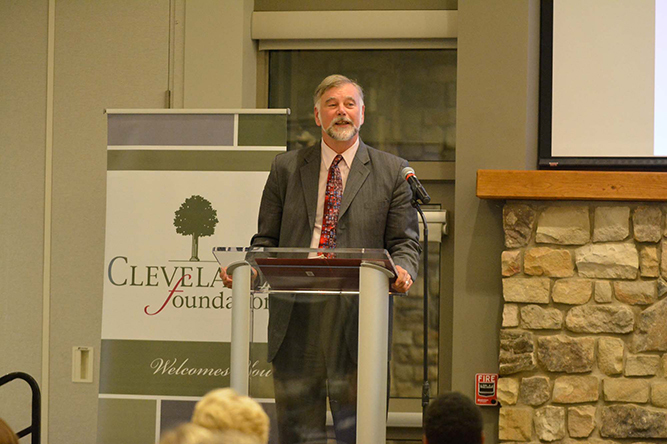 Bob Eckardt, Cleveland Foundation Executive Vice President, speaks about the foundation's commitment to the Encore program. The Cleveland Foundation launched Encore Cleveland in 2013, and to-date, has awarded more than $4.3 million in grants to support Encore Cleveland programs. After a 25-year career in the chemical industry, Binder found his new life passion through a volunteer board role for the nonprofit Suicide Prevention Alliance, now LifeAct. Bob Eckardt presents the 2016 Encore Cleveland Prize to Jack Binder. 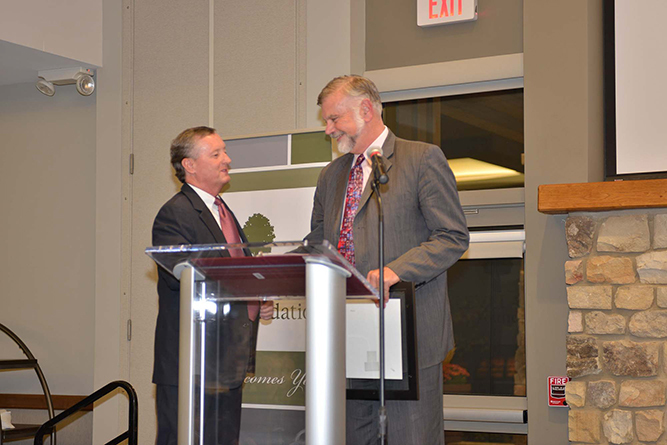 The award was established by the foundation in 2015 to recognize individuals age 50 and older for innovative work that combines personal meaning with social impact to enhance the lives of Greater Clevelanders. The Encore movement is a national effort to leverage the energy and experience of Americans who seek to fill community needs upon retirement or near the end of their primary careers. 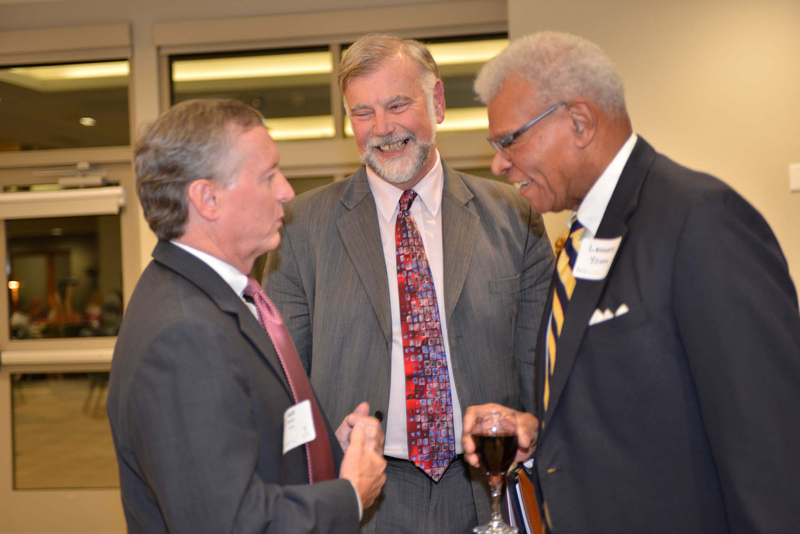 Jack Binder, Bob Eckardt and Encore Fellow and panelist Leonard Young. 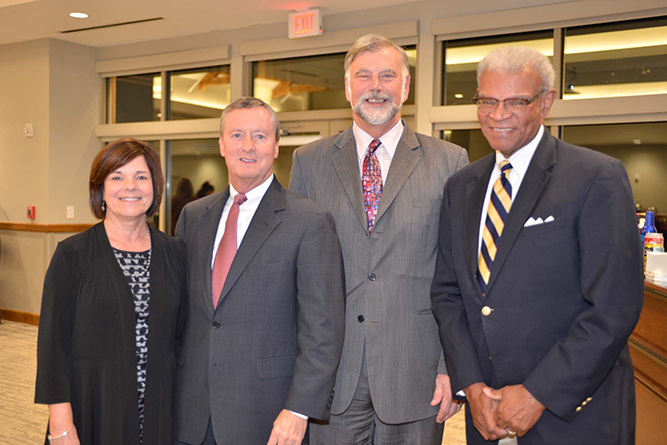 Mary Kay Binder, Jack Binder, Bob Eckardt and Leonard Young. 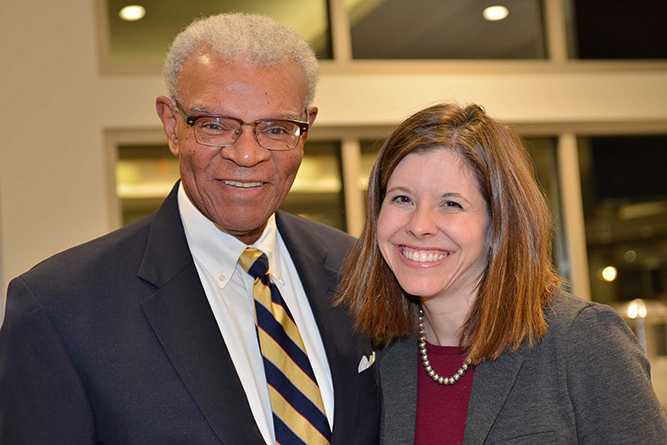 Leonard Young and Cleveland Foundation Program Officer Kara Keating Copeland. $420,000 to Fairhill Partners to expand a successful pilot program, which trains Encore volunteers to serve as peer leaders in providing evidence-based self-management programming to impact the health of vulnerable seniors. $239,478 to Mature Services, Inc. to grow its Encore Career Network Program, which provides paid employment opportunities for Greater Clevelanders age 50 and older within the nonprofit and government sector. $122,500 to Westside Industrial Retention & Expansion Network (WIRE-Net) to expand the organization’s Encore Cleveland Technical Corps Program (TCP), which recruits and trains retired industry tradesmen and technicians to prepare Cleveland Metropolitan School District students for 21st century careers in manufacturing, construction, transportation and information technology sectors. Learn more about the Encore Cleveland movement at www.clevelandfoundation.org/encore.